Leather is one of the most desired of fabrics for many reasons. There’s the soft, smooth texture, and the status that comes with owning a leather product – but without a doubt, its best feature is its durability. It will typically outlast any synthetic fabric, which is why it is so appealing. However, it’s a fabric that is not without its disadvantages. For instance, leather gets dirty very easily – especially if you don’t take care of it like you should. But no need to worry; with the expert leather cleaning services of the Squeaky Clean Team, you’ll be able to maintain the life and appeal of your leather goods for some time to come! 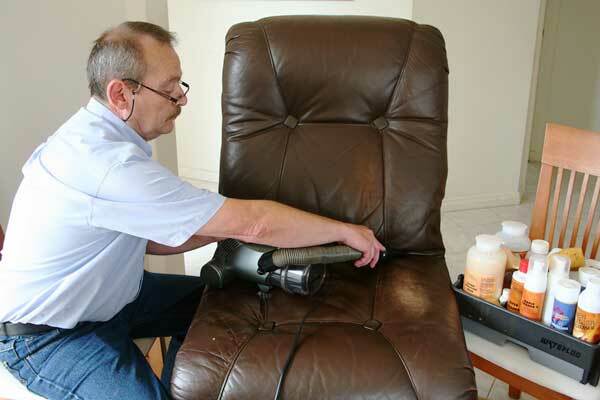 For expert cleaning of leather chairs and other surfaces, get in touch with our team today. The Squeaky Clean Team specialises in leather cleaning for homes and businesses across Melbourne. We’ll provide your leather upholstered furniture with a deep clean to remove any stains and unwanted smells and bring it back to its prime condition. Our cleaning products are child, pet and environmentally friendly, as are our tried and tested cleaning processes.